Fear is an emotion which arises when one feels helpless against a situation or an event. Perhaps one may turmoil over a bad past or feel anxiety for an unknown future. As such persons may not be in present moment, they may be unconsciously living with fear based emotions. Many a times among family or friends, such persons though may be physically present but may be emotionally absent. As varied as individuals are, fear can induce different kind of emotions. 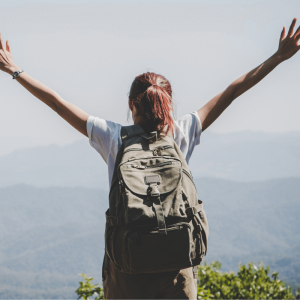 A certain amount of fear is necessary for triggering us up to move out of comfort zone and achieve growth.But if we use it beyond than that required, it can affect your life in a counterproductive way. 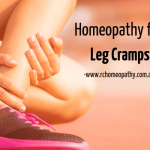 At this point if it is not resolved with proper homeopathic treatment, it may manifest itself as Obsessive compulsive disorder, physical disorders, phobia or panic attacks to list a few. Thus we may also say that a simple mild fear can then proliferate itself to a more potent form if left untreated. Using over the counter drugs can provide a temporary relief from general anxiety and discomfort but one may see recurrent patterns of fear and its various manifestations later. 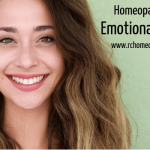 Homeopathy, on the other hand, works with your overall being considering your unique emotional and mental patterns while prescribing the remedies. 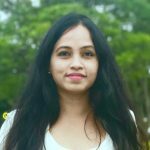 As a homeopath believes that fear can be as varied as persons who possess them therefore he analyses your unique symptoms for knowing the underlying cause specific to you. Once the cause is treated a patient sees a corresponding improvement in his well-being. Homeopathy Materia Medica has a wide range of remedies to choose from which can be matched to your unique nature of fear. 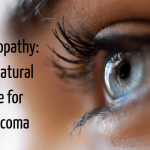 To derive the maximum benefit out of the natural homeopathic treatment, consult a qualified homeopath who can analyse your personality well for treating your physical, mental and emotional planes as an overall unit. Over the counter drugs create symptom suppression which is not a permanent solution since the mental and emotional patterns that cause fear are still lingering only to manifest themselves again as some other form. Taking these medications for long can in long run create a dependency loop only to further weaken your will and confidence. 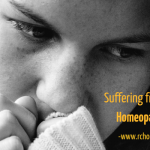 In Homeopathy, a person suffering from fear based emotions is not only provided relief from the outer physical symptoms but also treated in his entirety. Here, you are treated as a single unified unit rather than fragmented pieces of symptoms. Further as the medicines are all natural and safe, a person gets relief from fear peacefully. Above are a generalized list of remedies which may or may not be suitable for you . Consult a qualified homeopathic practitioner for remedies most suitable for your case of fear.